The financial world is evolving non-stop and you would be a fool if you think that banking is stagnating. The technology is now ruling the world and everywhere you turn, you can see high-tech stuff that is implemented in various areas of work. Banking could be made safer with advanced cryptography or it can be much easier without you even having to visit the bank. All in all, these technologies are made to be more user-friendly and hopefully make the client’s life easier. So, what can we expect from banking in next couple of years? Let’s find out. Blockchain Technology is developed day-by-day and it’s only a matter of time when will it hit the banking. Essentially, this technology works by utilizing your financial transactions and break them down into “blocks” (encrypted packets) and then adds them to a “chain” of computer code. This code is encrypted, which allows for more safety during transactions. The man behind this technology is Blythe Masters and as he said, Blockchain Technology has a huge potential to improve numerous parts of banking. Is it hard for you to remember all of your passwords and PIN codes? Well, Biometrics could make your life a lot easier. 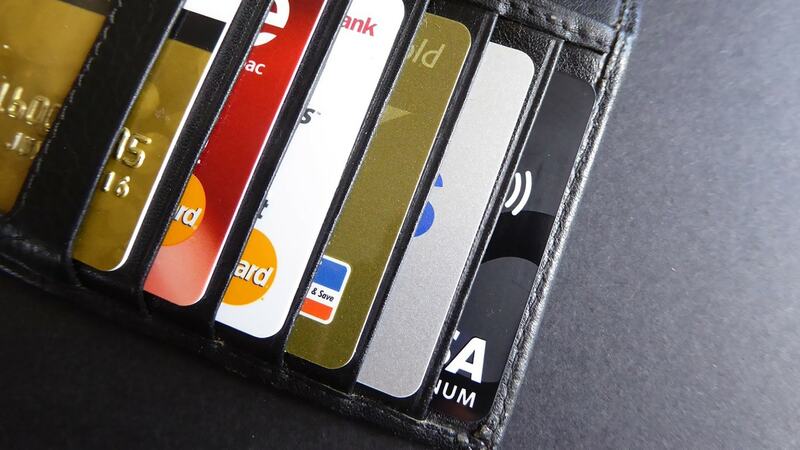 Some companies like Mastercard work on contactless cards with a fingerprint sensor built-in. This is a great security measure that will help the banks protect their customers from hacking attacks. With this technology, you could easily transfer or withdraw the money with a single touch… literally! Now, we just have to wait until this technology come to life. When ATMs were introduced to the banking system, they were the real deal! You won’t believe me when I say this was 50 years ago… time flies, I know. So, how should ATMs improve in the future? Well, as smartphones are now the most popular portable devices, you could withdraw your money using only your phone. Also, biometrics could be included here to avoid forgetting your PIN or be hacked. You could just place your finger on the scanner and do your stuff. For example, India launched such system last year and it works great! These apps can make your life easier… much easier! What if you are in your car and you need a bank to quickly withdraw the money or pay for services? Well, you can access a mobile banking app using only voice control functionality, because you don’t want to type while driving, right? Within your app, you can transfer cash, check your balance and even locate a nearby bank or ATMs according to your location. When the internet first started to emerge, it was immediately known that it will be a huge success. Indeed, we can now use the internet to do whatever we want. Banking, paying bills, playing games, watching movies, chatting- you name it. Mobile and Digital Banking are already at large and its growth is explosive. Many banks are heavily investing in this technology in order to make the customers’ life easier and for more safety when doing transactions. In some survey conducted near the end of 2016, almost 90% of the banks told that this number one service that they are investing in. Forget about a fingerprint sensor for a second. Wouldn’t it be great if we had a Facial Recognition system? Sounds cool to me! Well, someone has already invented such stuff and he is called Jack Ma. This system is called Smile to Pay, and it works… well, by smiling. I know you don’t smile when giving away your money, but this should make you confident when spending some cash. Smart tactics, banks, very smart! So, smile and buy the product you want, it’s that simple. You may think that I watch too many Sci-Fi movies, and you may be right. However, as much as I am a fan of Sci-Fi movies, this isn’t some Sci-Fi garbage I’m trying to tell you, but a technology that’s very close to us. Augmented Reality has been with us for some time and it could also get into banking systems. You could download the app from your smartphone and when you open it in your VR, you could see a complete visualization of transaction history, balances and details. However, Australian Bank Westpac announced it will be developed soon, and I’m really looking forward to it. Cryptocurrencies took the world by storm! Ever heard about Bitcoin? If you didn’t, that’s a cryptocurrency that’s worth over $16000 at the moment. So if you are a miner and you want someone to keep your Bitcoins for you, there is a chance for you. However, Bitcoin has its own advantages because the banks couldn’t get the hang of it, so there were no fees and no waiting for payment. This may be bad for us, but surely useful for banks. If they charge some fees when paying using Bitcoins and make it more mainstream, its value could decrease dramatically and lose the whole point. But, time will be the only factor. AI is constantly developing and there’s a huge chance that people in the banking sector will rapidly lose their jobs. This isn’t good for us, but the banking will make a huge profit from it. You could now talk with the AI to get help, and not the real human, which can be very odd. Furthermore, the AI needs to be REALLY good and smart to provide you with the necessary info. But we don’t need to worry about it, at least for a few years, and then we’ll see what will happen. Humanoid robots are cute, so what if we implement those into our banking branches? Well, why not. Not everyone is in a mood to greet you when you come in, but these humanoid robots will. The aim here is to produce a user-friendly machine that could talk in multiple languages in order to help the customer and analyze his facial expressions and behavior. Sounds very futuristic and certain banks in Japan already use this technology. I’m looking forward to seeing this in my country!